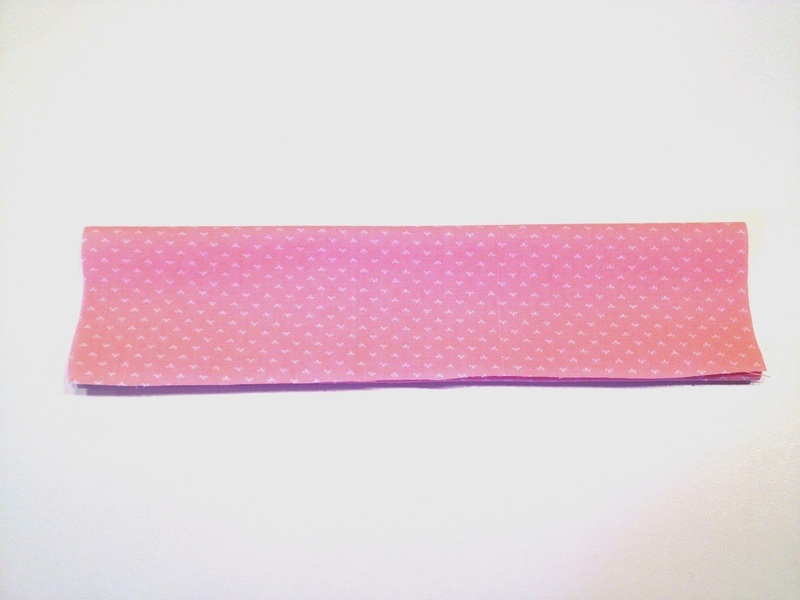 In case you don't know, there are few things that I love as much as I love polka dots. 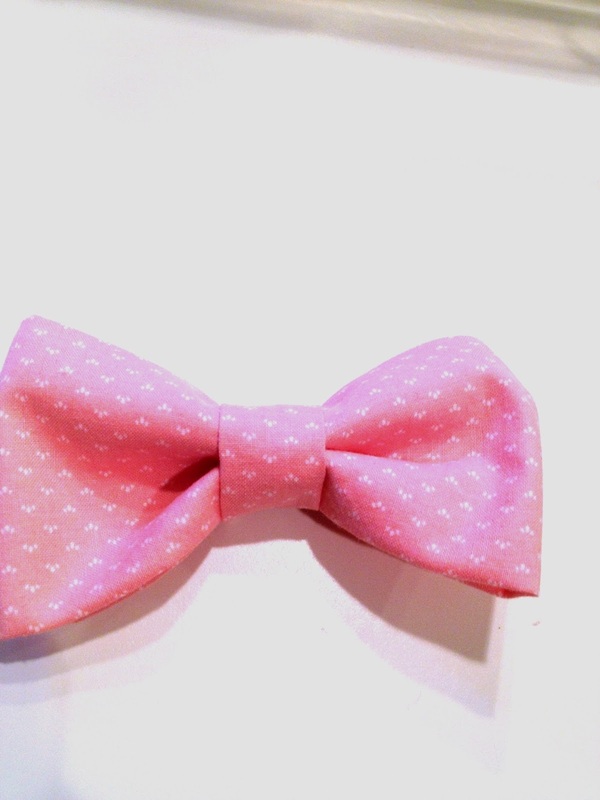 They can be super casual or pretty formal. I wear them with stripes, plaid, and floral (not all at the same time!!! ;) The same goes for chambray. 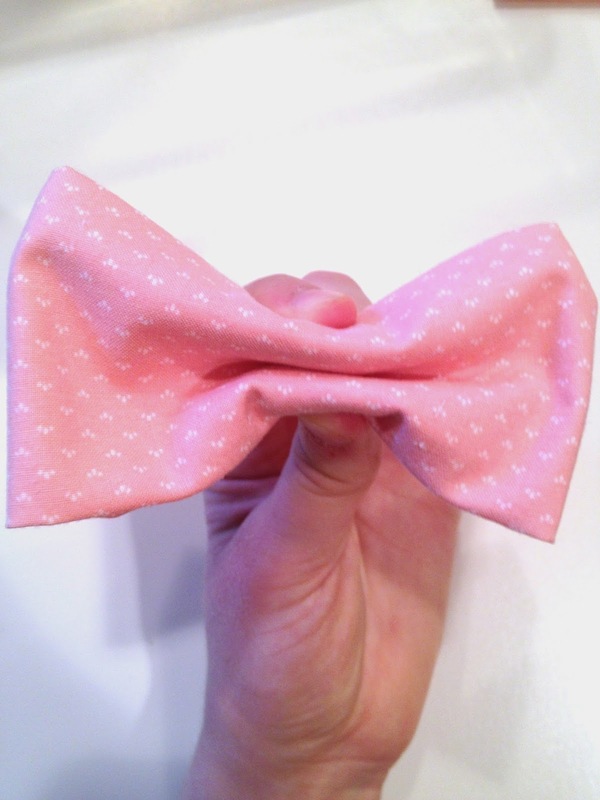 You can wear it with jeans or a comfy skirt. This explains why you have seen this shirt a few times and will keep seeing it until I wear it out completely. 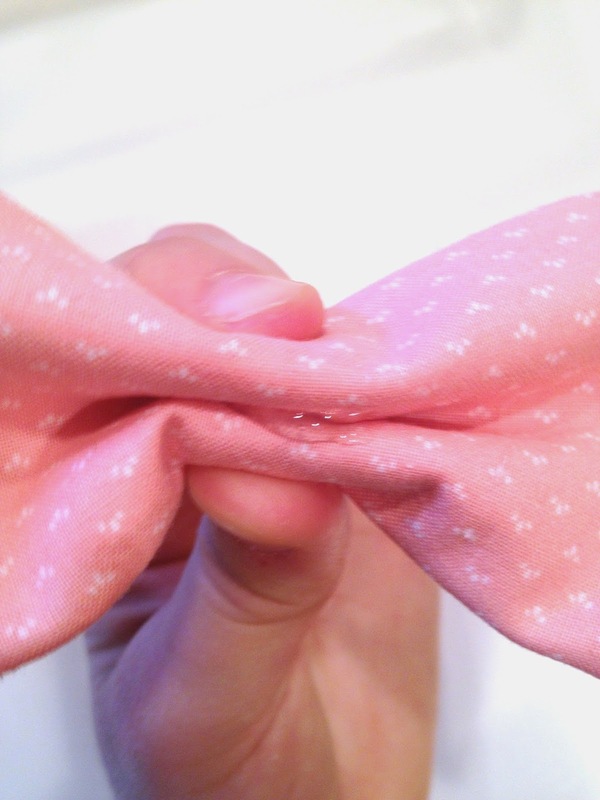 And you know what goes perfectly with this yummy polka dotted chambray shirt? 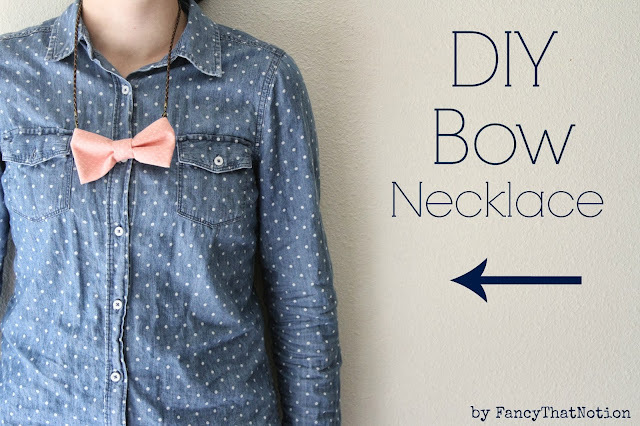 A bow tie necklace. 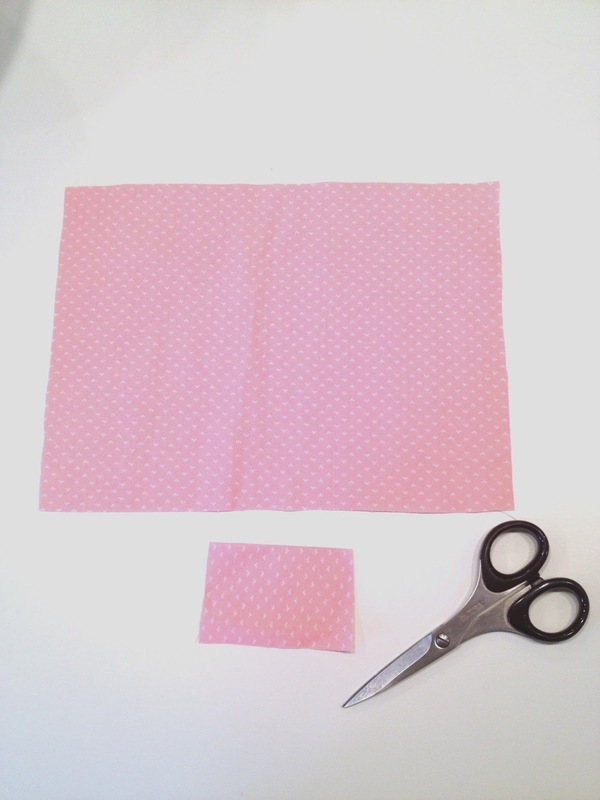 First you will need to cut out your fabric. The larger piece will need to be 3x as tall and 2x was wide as you want your bow (obviously, this just depends on how big you want yours to be). The smaller needs to be 2-3 inches and about 3x as wide as you want the final (the smaller is the piece that goes in the middle). Also, you can either sew or hot glue gun this project. 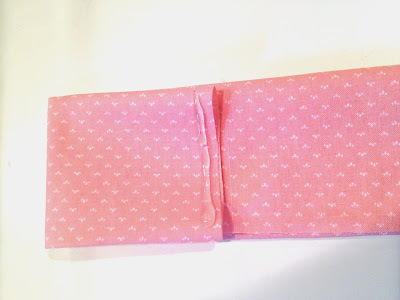 I did bows with both techniques. Obviously, the hot glue gun is the fastest for if you just want to whip up a new bow for a different outfit. 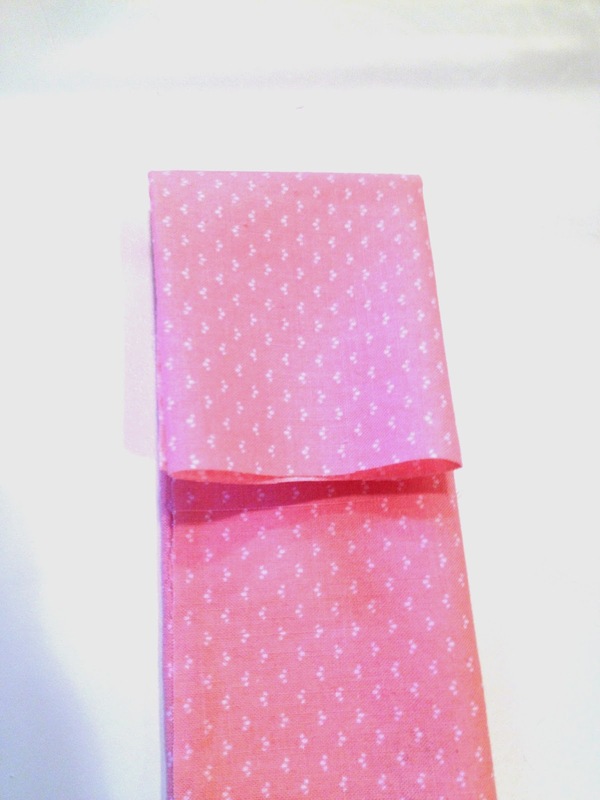 However, if you are giving this as a gift, I would recommend sewing because it obviously gives it a cleaner finish. 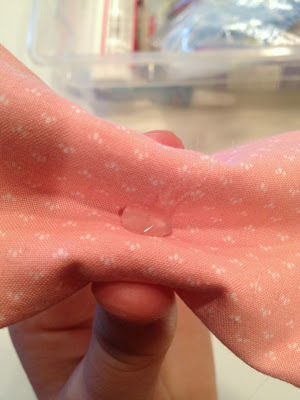 This tutorial is for hot glue gunning it, but the sewing is pretty much the same. 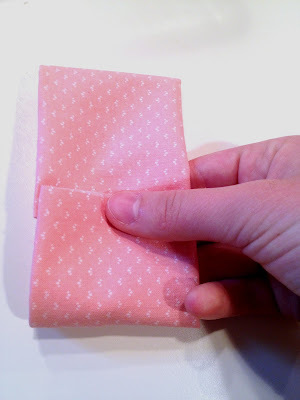 First of all, fold your larger piece 1/3 of the way up from the bottom and glue. 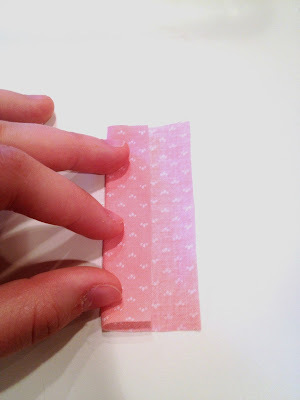 Fold the top down 1/3 of the way down (just to the bottom edge) and glue it down as well. Fold fabric over from left to right to the center and glue. 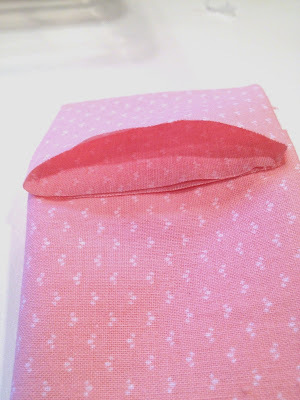 Fold the rest of the fabric over from right to left and glue down on top of the other side. Squish!!! 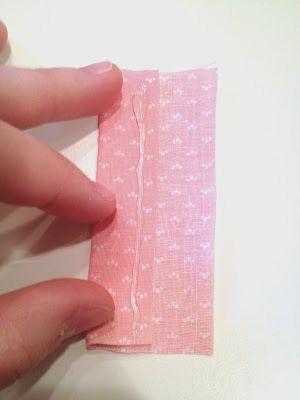 Now flip it over so that the "seam" is on the inside. 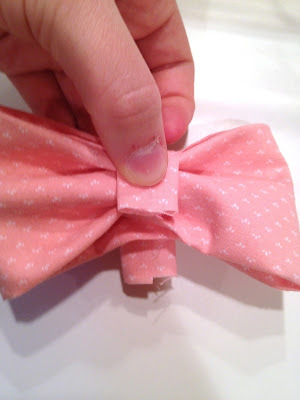 Bigger piece: squeeze it in the center until you have the perfect bow shape. See that line between my fingers? You need to glue that as well. Repeat for the back as well (you will need to glue in two spots). 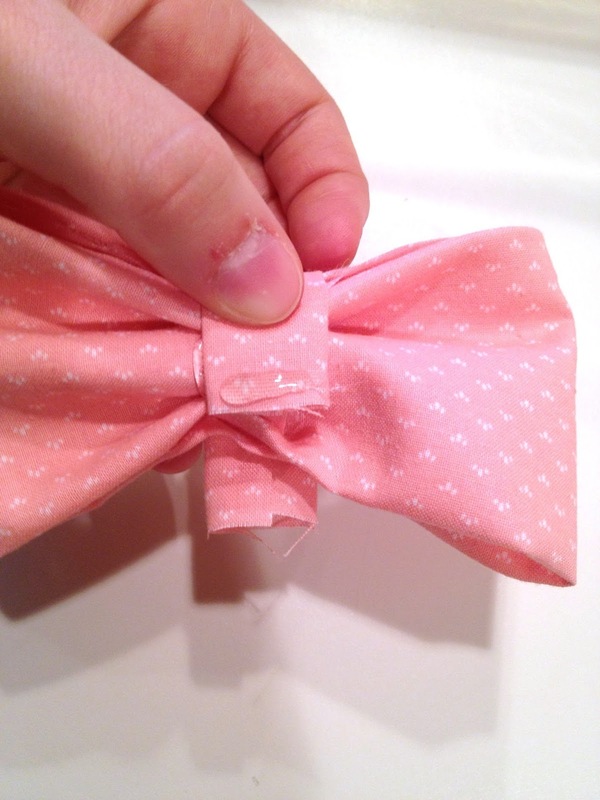 Now wrap your smaller piece around the center, with the ends on the back of the bow. Glue one end on top of the other! And now you have a bow!!! 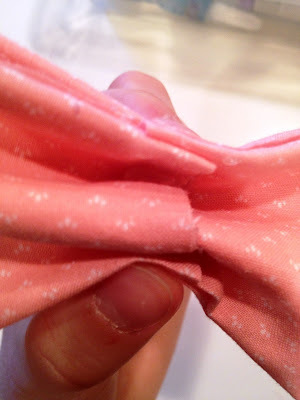 To attach the bow to the necklace, I just put jump rings through the edges. And now you can attach your bow to your necklace! 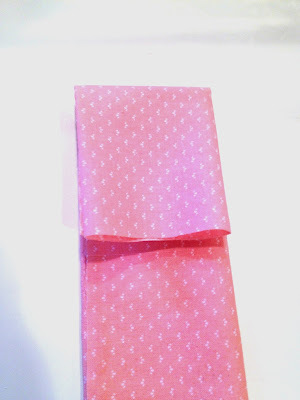 There are obviously endless possibilities of fabrics for this project. This one ^ is my absolute favorite. I love how it can work in both spring and fall!